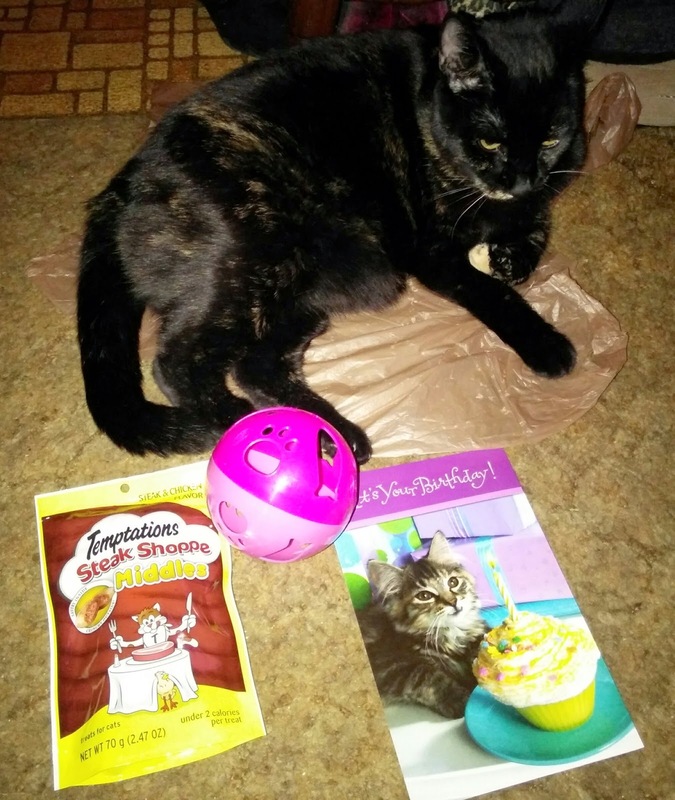 We hope to celebrate many more Gotcha Days with you, Truffles! Autumn and Fiona are so pretty and we're certain they will soon be in their forever homes. Sorry we missed your gotcha day. Happy Gotcha day a little late. We vote that your friend get Autumn since she needs a home by herself. It is so hard to find homes for the kitties that need to be by themselves. I hope it all works out for your friend. 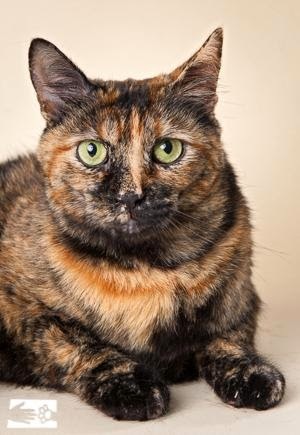 Oh what pretty tortie girls! Either one would make a great companion! 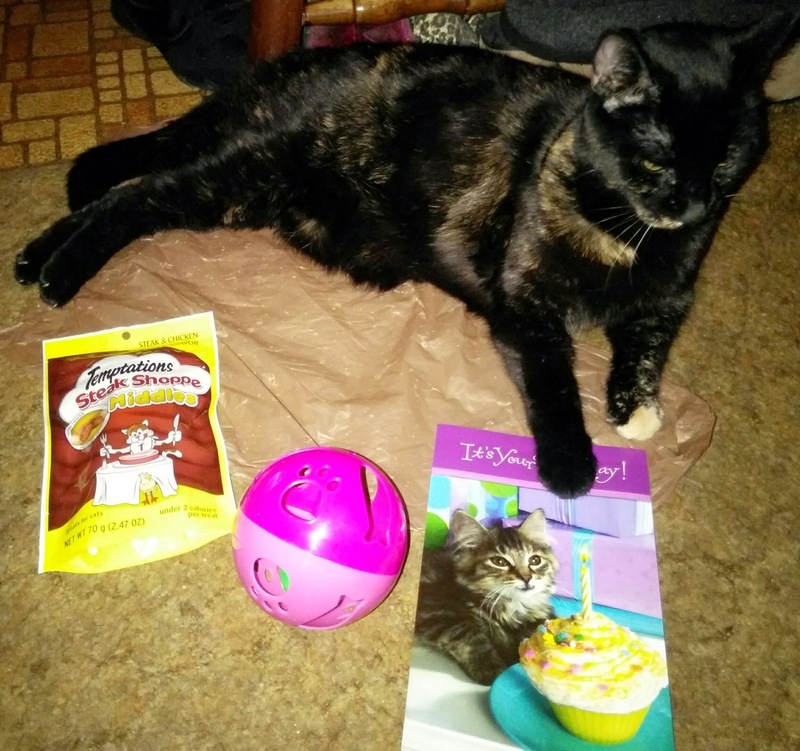 We're glad you had a great Gotcha Day, Truffles. Happy Belated Gotcha Day Truffles! And I hope Autumn gets a forever home soon. Aww, sweet Truffles! Fiona looks like my Ming and Autumn is GORGEOUS! Truffle those two tortie girls sure are both pretty. WE hope your Mom does take her neighbor to visit them and we hope something wonderful happens! Nice prezzies, Truffles! Glad you had a good day celebrating! 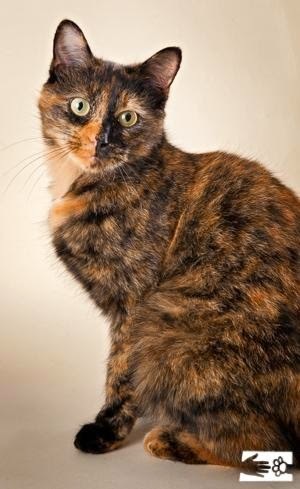 Those two tortie girls sound wonderful! We hope you are able to help your neighbor find the purrfect kitty! What beauties! And I love the name Autumn! Hope your neighbor lady adopts one of those pretty girls, we are voting on the more mature lady cat!